﻿ IASPIS – Studio Talk with Mary Kelly | S.O.J. S.O.J. 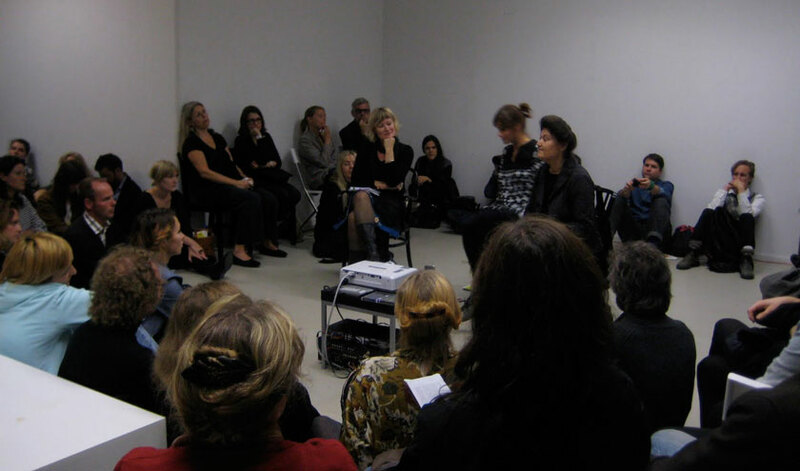 was invited to take part in a studiotalk with Mary Kelly and Iaspis director Cecilia Widenheim, during Open House september 2010. It was crowded and a well filled studio. Mary Kelly, with a lot of grace, made everybody feel included. The talk was about Marys interest in ”remix” and the 70s and 80s generations interest in the -68 movement.